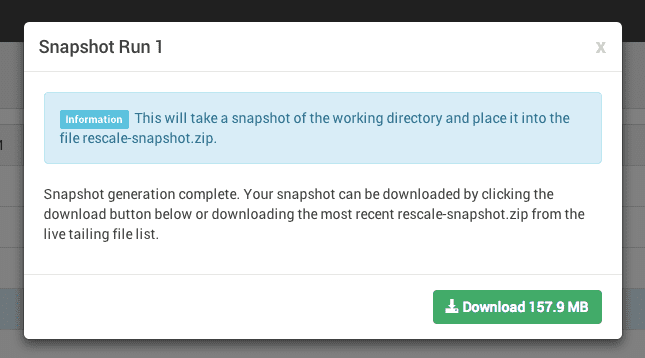 It can be useful to take periodic snapshots of the working directory for a run of your Rescale job, either for restart purposes or for additional review on your local machine. Rescale makes it easy. 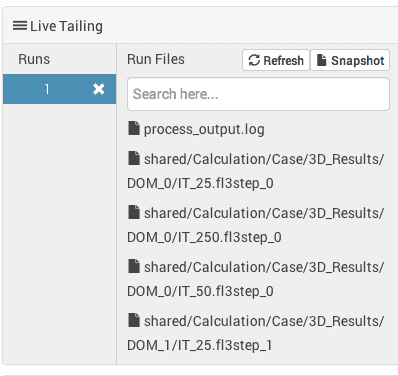 Starting from the Status tab available on the right side of your screen ( ), select the run you would like to snapshot. In this case, I’m running a single run job, so there is only one option, Run #1. 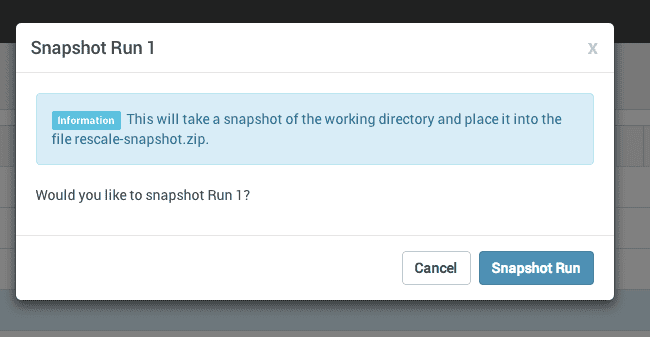 Next, click the “Snapshot” button and then select the “Snapshot Run” button in the confirmation popup. Rescale will take a snapshot of the current working directory, including subdirectories. and package up the files into a single zip file. Once that zip file is ready, a download button will appear in the modal. You may also download this snapshot from the Results tab ( ). If you have made multiple snapshots over the course of the run, each one will be listed and labeled with the date and time it was taken.